Chef’s Choice Electric Sharpeners are never a let down, it seems. These are made to help anyone dealing with kitchen work on a daily basis. If you work with knives day by day and have to sharpen the blades often, this is a brand to go by. Electric diamond sharpeners are in a league of their own. The 1520, like the rest of its kind, are designed to ensure quick sharpening. It is a welcome solution for preparing a wide range of tools. It is less exhausting and time-consuming than the old methods for kitchen knife sharpening. The Chef’s Choice 1520 sharpener was worth the money. It has abrasive parts covered in diamond. These do a fantastic sharpening work on any kind of blade. The usual problem with knife sharpeners is that they handle only certain types of knives. This one is a welcome exception. It works with straight edges and also with serrated or wavy ones. Moreover, it works with single and double bevel blades. No knife is left out. The three stages ensure the necessary honing and polishing. As previously mentioned, the 1520 is appropriate for all kinds of knives. It deals with all types of blade edges, and also with the different blade styles. This is thanks to the AngleSelect feature. You can choose to sharpen blades at a 15-degree angle (the Asian type) or at a 20-degree angle (European and American style). Customers’ comments have been mostly about the sharpening speed and about how easy it is to get it right. Users are happy about these aspects. Automatic knife positioning is a great feature for those who lack knife sharpening skills. Some claim the device even sharpens the hardest steel. Customers appear delighted with how it works with their Japanese knives. It can even correct mistakes done during previous sharpening rounds. The average rating stands at 4.6/5 stars. This sharpener does not seem too appropriate for novice users, though. It requires extreme care with the sharpened blades. Professionals can handle the thinness. If you are rather used to dull edges, this might be too much of a change for you. Diamonds enable precise sharpening. 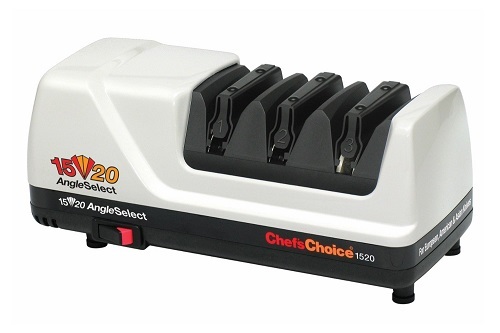 Chef’s Choice 1520 AngleSelect Diamond Hone sharpener is one of the most versatile sharpeners for kitchen knives. It is among the best ones to buy. If you can afford it, it will be the solution for all your knives. The type, edge style and blade angle don’t matter. It is the appropriate tool for those who own kitchen knife sets. 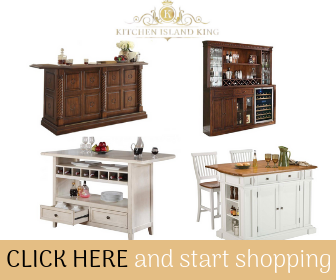 Also, it is ideal for professionals in the cooking field.